Professional house removals in Rdipley, Codnor and surrounding areas. Trust the experts to ensure your move is completed smoothly. We have been providing professional house removal services in the Ripley area for some time now and our teams have excellent local knowledge of the area. Whether you are moving to or from Ripley or within the area our teams have the experience, skills and equipment to ensure your move is as stress free as possible. 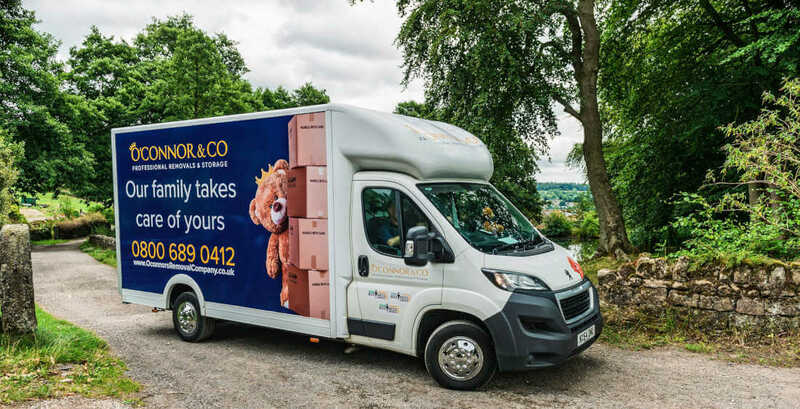 O’Connor & Co are a family run business with a focus on providing the highest levels of service at competitive prices, why not get in touch today for a free no obligation pre-move survey and quote. Our surveys are available 7 days a week and you can choose to have either a video survey or a home visit by one of our removal specialists. We are confident that we have a moving package that will meet your needs. If you need any help or advice, get in touch as our team are only too happy to help with tips and advice on packing to helping to resolve problems if your move date changes. With our Gold and Platinum packages we take care of everything, including the packing, all packing materials are provided and our team of experts will pack your posessions. If you prefer to pack yourself, then take a look at our Bronze and Silver packages.